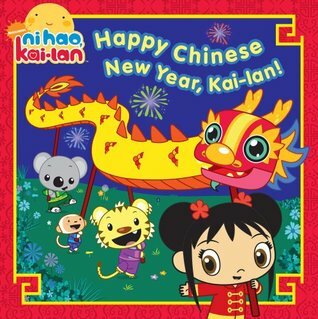 Title : Happy Chinese New Year, Kai-lan! With Chinese New Year this weekend, we checked this book out from the library. I liked the sprinkling of chinese words and the illustrations were fun, but Torben lost interest about 2/3 of the way through. I ended up creating an abbreviated version that held him through to the end. We love all the Kai-lan books! As always, text of the Kai lan books are a little long for the under-3 crowd. Madelyn ended up liking it after a few tries though. I was pleasantly surprised to see how much information is packed within one of these Kai-lan books. Pleasant message for children as well.